This is the oil we use and reccoemend in all off our engines that are Aircooled, including the 911 Porsches. We have found it to be the best for longevity as it has Zinc in it’s formulae unlike other oils, which is great for the camshafts. 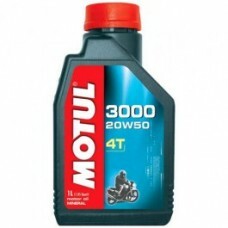 • Multigrade oil developed for 4-stroke air- and liquid-cooled engines, with or without wet clutches. • Advanced polymers blended with special additives for unmatched protection, longevity and flow. • High-temperature/extreme-pressure agents made of the finest zinc, phosphorus and sulfur compounds to withstand high-performance riding and racing. Uses: Street & road bikes, trails, off road bikes, fitted with 4 stroke engines, integrated gearbox or not, wet or dry clutch, engines fitted with catalytic converters or not. For more intensive use, prefer MOTUL 5100 Ester. Lubricant specially reinforced with extreme pressure additives for gearbox protection and life time of gears. High lubricating properties which decrease wear and increase engine life time. High detergent and dispersive properties for engine cleanliness. JASO MA approved to ensure perfect operating conditions for wet clutches. Oil change: according to manufacturers' requirements and to be adjusted according to using conditions.